I seem caught in a twister of synchronicity this morning, all centred around the concept of creativity. “Can we do a reading on this already!” I hear you asking. 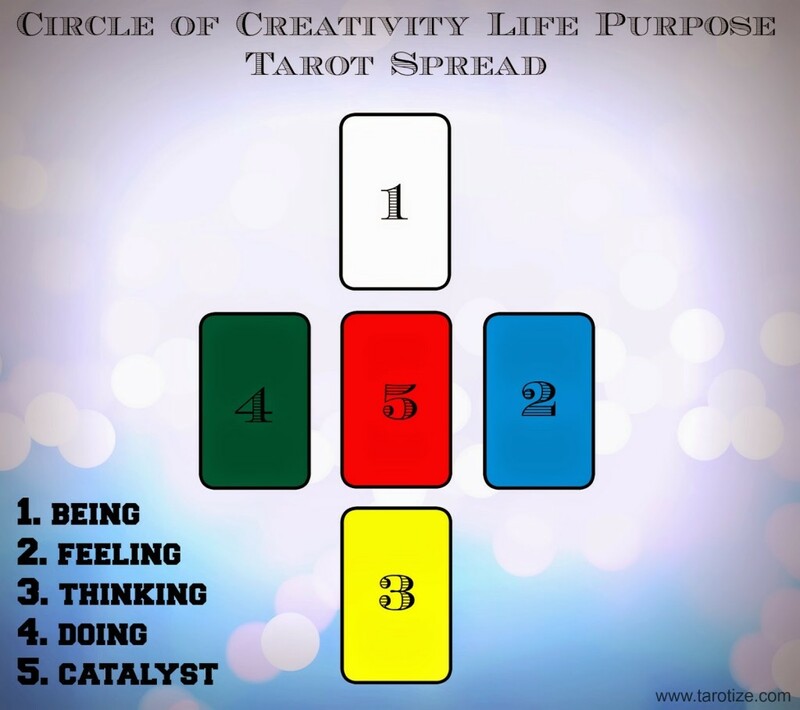 This is the “Circle of Creativity” Life Purpose Tarot Spread and the centre card represents the catalyst for sparking creative ideas into action. 1. Being. This is the message from Spirit about your being at this point in time. It represents your inner knowing about your soul’s purpose in this incarnation. The Judgment card here is a clear indication that I need to move fully into my life’s purpose and leave the past behind… all the guilt, shame and disempowerment that kept me trapped in behaviour that didn’t serve humanity. Judgment very often deals directly with our calling. With all the synchronicity already happening in the last few days, I managed to not faint with excitement. 2. Feeling. How I’m currently feeling about moving forward on my path of service. The High Priestess shows me that I’m deeply attuned emotionally to spiritual service. 3. Thinking. My thoughts concern a practical application and ties in with my Capricorn Sun sign. 4 of Pentacles – Sun in Capricorn. I want to provide something of high quality of lasting value. 4. Doing. I need to be teaching. The High Priest communicates messages from Spirit in a practical and easily understood manner. He keeps his ear to the ground and is familiar with the zeitgeist. What he has to say is relevant or he will soon have an empty church and a huge heating bill.